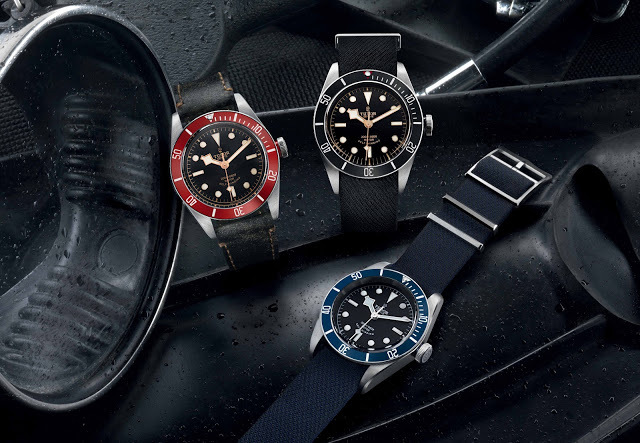 Tudor expands its line of retro-style Heritage dive watches with the Black Bay Black, featuring a black bezel and gilt dial, making it the truest to the original vintage Submariners. 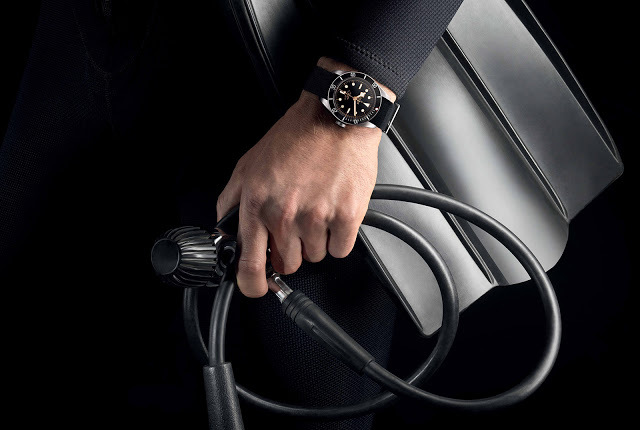 The one of a kind Black Bay One created for a charity auction was a precursor to the Black Bay Black, the third in Tudor‘s Heritage series of dive watches inspired by vintage Tudor Submariners. 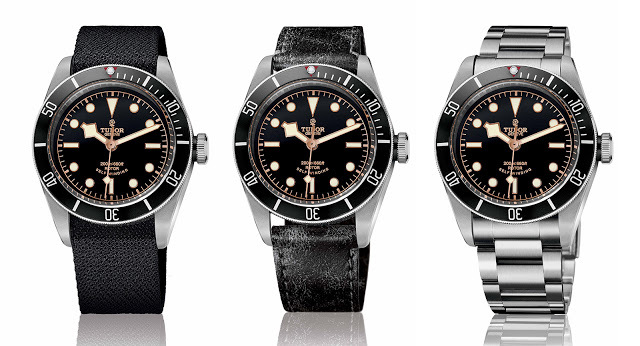 Predictably, the new Black Bay Black shares the same specs and features as the original Black Bay as well as the more recent Black Bay Blue, with its key distinguishing feature being its black bezel. 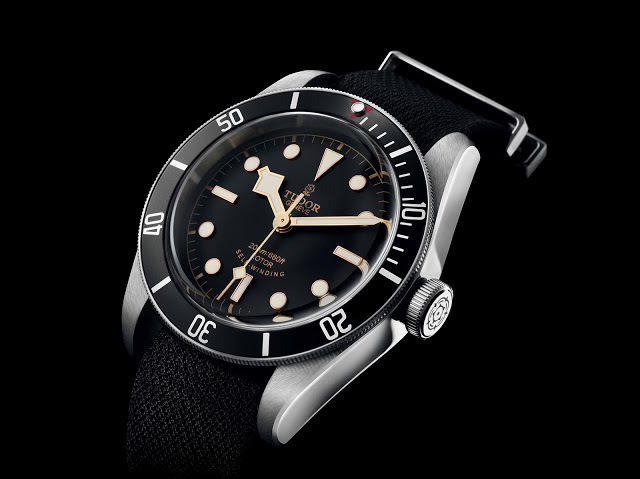 Black with a red triangular marker at 12 o’clock, the bezel of the Black Bay Black is arguably the most traditional amongst the Heritage dive trio. The dial is the same gilt dial as found on the original Black Bay, with a matte black finish featuring golden lettering and gold-plated indices and hands. 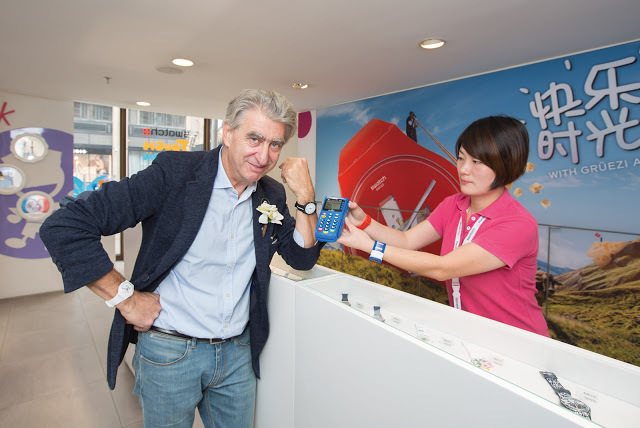 The case is exactly the same as the other Black Bay watches, 42mm in diameter with the ETA 2824 inside – using the new in-house movement as done with the second generation Pelagos would have been a huge upgrade. 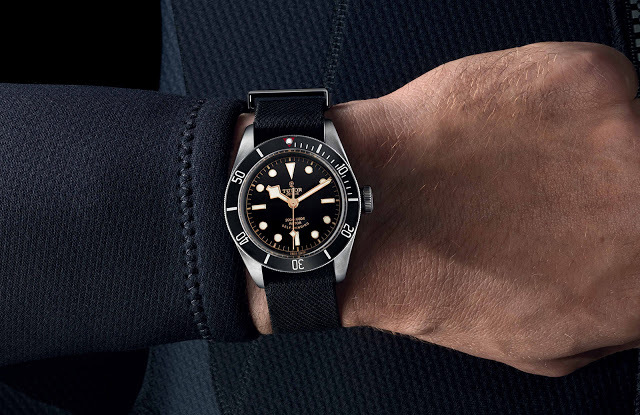 As is convention for Tudor, the Black Bay Black (reference 79220N) is sold either with a leather strap or steel bracelet, both of which are accompanied by a fabric strap woven on traditional Jacquard looms in France. The look is attractive but lacking in imagination. That being said, it is modestly priced, as is typical for Tudor, so creativity isn’t essential. 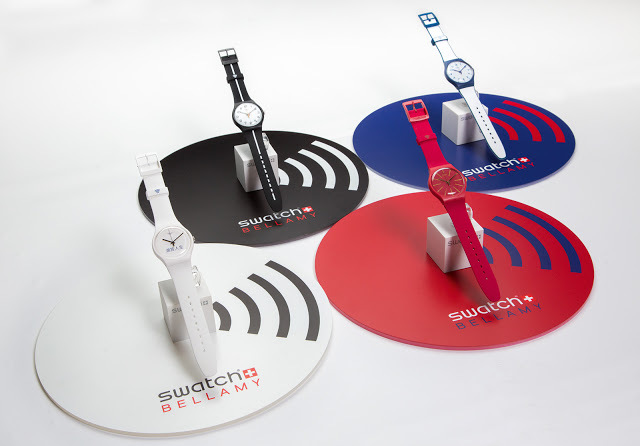 Its price is exactly the same as the other Blak Bay variants: in the United States it’s US$3100 on the leather strap and US$3425 on the steel bracelet, while in Singapore it’s S$4248 and S$4680.